Gary Drapeau fulfilled his dream of opening a screen printing business in Lake Andes, South Dakota. 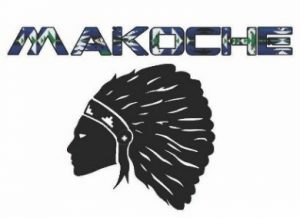 The Makoche Clothing Company debuted their apparel line in the summer of 2017 with a casual collection of shirts. 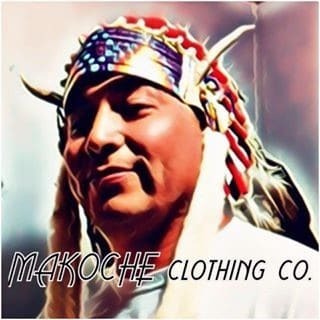 The Makoche Clothing Company is a fashion life style company owned and operated by Gary Elk Soldier and wife Cheyenne Elk Soldier. Makoche means “Homeland” in the Ihanktonwan Nakota Native language. Gary is a creative, high-energy individual; he is true entrepreneur. Gary has been successful in many aspects of his life. He is a talented musician and a member of Native American band Elk Solider. They are nationally recognized and have released three albums. Gary’s is employed at Marty Indian School where he teaches the Dakota language (Dakota People – Sioux Tribe) to high school students. The clothing line features t-shirts, hoodies, hats and other high quality clothing with a Native American flair. Gary is a skilled marketer using Facebook, twitter and Instagram. The Makoche Clothing Company was in need of capital for growth. Gary was running out of options to obtain a small business loan. He tried his local bank and they could not help, and Gary found us through a friend. We met with Gary and he shared with us his aspirations of building a Native American owned clothing company. His drive and vision provided us with a window to where he will be taking his clothing business. We partnered with Gary providing a loan to purchases clothing inventory. Prior to the loan, Gary had concerns about promoting his business. He was concerned that if he received a large order, they would not have the inventory on hand to produce the order in a timely manner. Now with our help, the Makoche Clothing Company has inventory and can turn around orders much quicker. 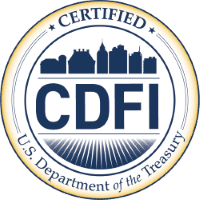 Native360 Loan Fund Inc. provides affordable credit, capital, technical assistance and related programs to help build strong and self-sufficient Native American business owners. We serve members of all tribes in our Nebraska, Iowa and southeast South Dakota service area.